On Wednesday morning, a funeral ceremony for former President George H. W. Bush will be held at the National Cathedral in Washington, D.C. Bush died late last Friday at age 94. A detailed schedule of the funeral and memorial services has been released. President Donald Trump, as well as former presidents Barack Obama, George W. Bush, Bill Clinton and Jimmy Carter will be among those paying tribute to the 41st president. 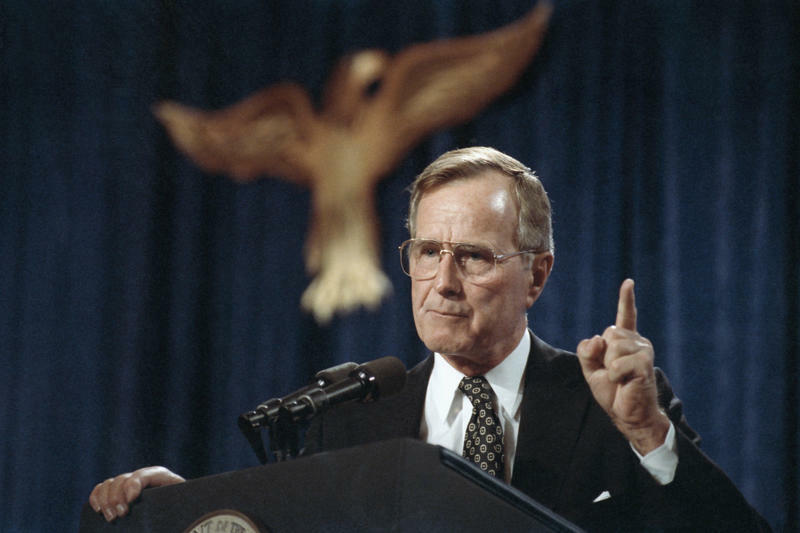 He will be eulogized by his son George, as well as a former U.S. senator and a former Canadian prime minister. Dozens of U.S. and world leaders are expected to attend the service. 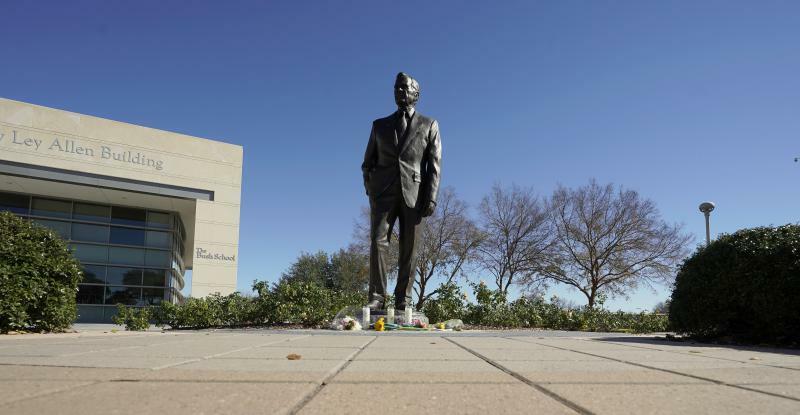 WRVO will broadcast the ceremony live starting at 11 a.m. Wednesday. Hosted Audie Cornish will be joined by NPR National Political Correspondent Mara Liasson, White House Correspondent Scott Horsley and Congressional Correspondent Scott Detrow for analysis. We're expecting coverage to continue into the afternoon. A live video stream will also be available here starting at 11 a.m. 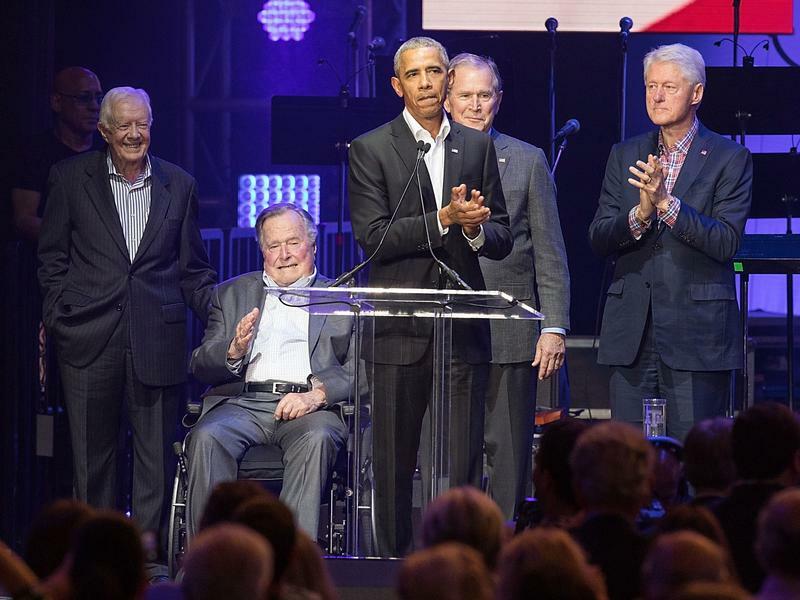 The current and former U.S. presidents have been offering their condolences and paying tribute to the 41st president, George Herbert Walker Bush, who died Friday night at his Houston home. He was 94.